Dongguang Tianyuan Glass Co., Ltd. Many years' experience specialized in glass manufacturing and exporting, since 1996. 2). Strong and fastened sea-worthy wooden cases, managing to reduce the breakage rate as low as possible. 6). Professional and experienced sales team, offering personalized and excellent services. Jiangmen Century Star Glass Mirror Manufacturing Co., Ltd.
We're as dedicated to you, the customer, as we are to the quality of our Smart Salon Dressing Mirror With TV . 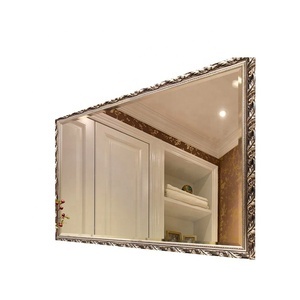 Customers We are experts in the manufacture and sale of Smart Salon Dressing Mirror With TV . We are involving these to bring you the very latest in modern design and Guaranteed quality. 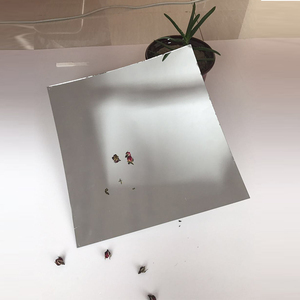 Dongguang County Shupeng Glass Mirror Co., Ltd.
magnify mirror Material: cosmetic mirror base on sheet glass or float glass. customered Size:Any size as you need. 1.interlay paper between two sheet glass or power between the two sheet glass. 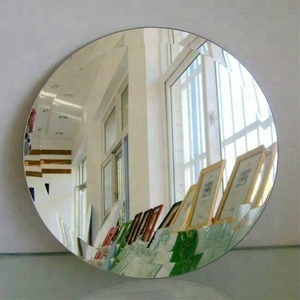 3mm,4mm,5mm,6mm,8mm sheet mirror As your request Special surface, Antique, or high-polished. 2. Tinted float glass can be bent, tempered, heat strengthened, silk-screened or enameled. Port Dockside warehouses beside three of China main container seaports, ensuring convenient loading and rapid delivery. Sales Professional sales team, offering personalized and dedicated services, exporting to more 76 countries in the world. Strong and fastened sea-worthy wooden cases, managing to reduce the breakage rate as low as possible. 6). Professional and experienced sales team, offering personalized and excellent services. We are specialised in switch glass for home appliance,kitchen appliance,light etc. Deep Processing Cutting: Any shape can be customized, such as round, rectangle, square, oval, arch, and irregular shape. Quality Standard CE, ISO, CCC, SGS Weihua glass can be customized according to customer's requirements. 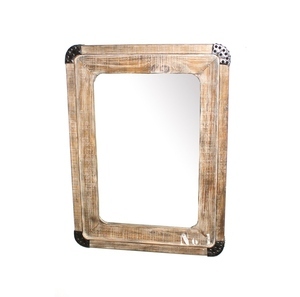 Weihua Makeup Mirror Any size any shape can be customized based on customer's requirement. 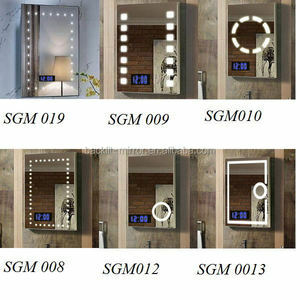 we use quality silver mirror glass, conform to BS EN1036-1:2007 standard, waterproof, acid-resistant, suitable for bathroom applications. 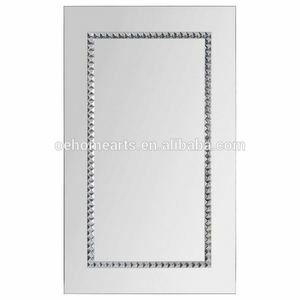 Mirror Features: 1) Made of quality silver mirror 2) Thickness: 3mm to 8mm; 3) Standard size: 45 x 60cm, 50 x 70cm, 60 x 80cm, etc, cutomer size as per request. 4) Multi-shapes available: Square, Rectangular,Round, Oval, Wave, Arch, Dome, etc. Hangzhou Jinxiang Mirror Co., Ltd.
2. What about the packing9 Now the carton packing or wooden carte packing both avaialbe for us. Or we can provide the packing as your requirement 3. What about the material of the mirror9 We have the material in 4mm, 5mm and 6mm silver mirror. 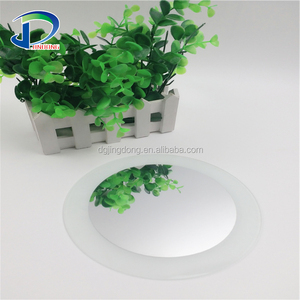 We also can provide the 3.6mm, 4mm and 5mm aluminum mirror 4. What about the material of the accessories for the mirrors9 Now we almost use the Zinc-Alloy shelf clamps and the stainless steel guardrails. 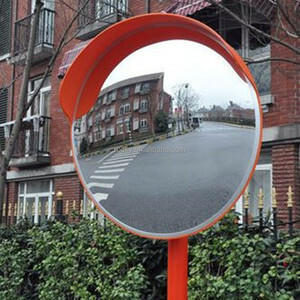 Alibaba.com offers 199 magnifying mirror sheets products. About 16% of these are mirrors, 16% are plastic sheets, and 16% are bath mirrors. A wide variety of magnifying mirror sheets options are available to you, such as glass, plastic, and acrylic. You can also choose from compact, framed, and oval. As well as from decorative, bathroom, and cosmetic. And whether magnifying mirror sheets is free samples. There are 199 magnifying mirror sheets suppliers, mainly located in Asia. 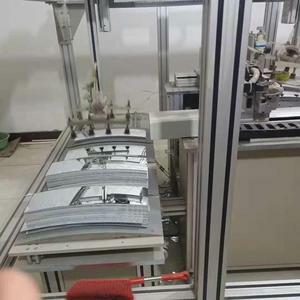 The top supplying countries are China (Mainland), India, and Pakistan, which supply 98%, 1%, and 1% of magnifying mirror sheets respectively. Magnifying mirror sheets products are most popular in North America, Western Europe, and Southeast Asia. You can ensure product safety by selecting from certified suppliers, including 40 with ISO9001, 12 with Other, and 3 with ISO14001 certification.